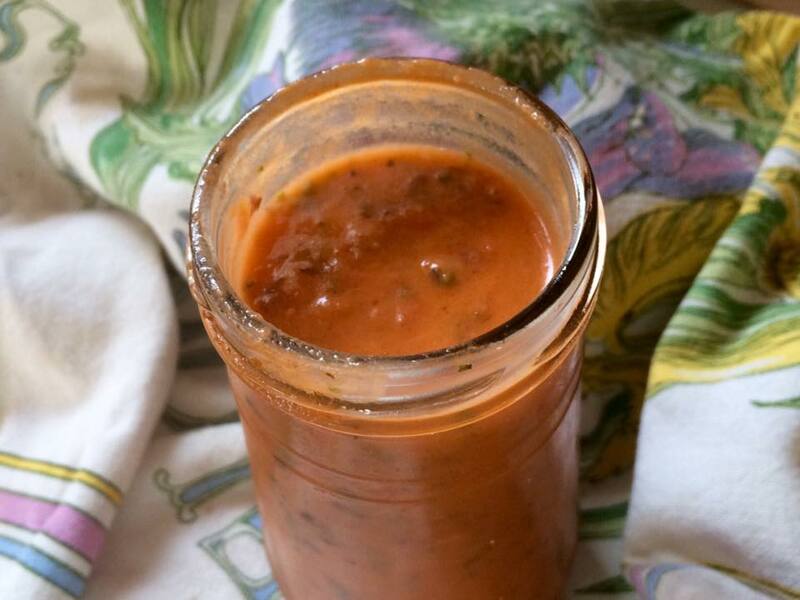 You can see flecks of basil which give this tomatoey-garlicky vinaigrette cooling hints of mint. I don’t know why, but it started with purchased tzatziki (cucumber, yogurt and garlic), which is really good on a chicken or tuna sandwich. Then, of course, the poppy-seed dressing and now a tomato-basil vinaigrette that’s out of this world. We’ll forget about the mayonnaise with siracha, soy sauce and sesame oil added for garnishing a tuna burger. Too spicy for anyone without an asbestos mouth. relish newspaper supplement provided the recipe. Usually, that’s a very reliable source, but this recipe, for some reason, instructs us to chop the basil and mince the garlic cloves. Please don’t bother — that’s what the food processor is for. If you haven’t yet tried the tomato paste in a tube, now would be a good time since this recipe uses only a dab. Marygrace Taylor, the author, suggests you try this dressing on grilled steaks as well as salad greens. Next I’m going to try her Smoked Red Pepper-Walnut Dressing on shrimp. Combine ingredients in food processor or blender. Process until smooth. Makes 1-1/2 cups.